As the spring semester ends, what are your plans for those hot summer months? Will you take a vacation or take the opportunity to work? 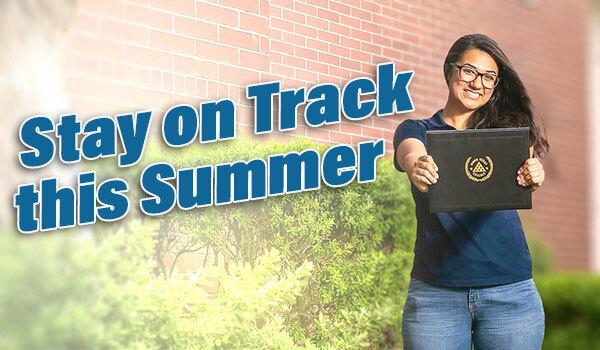 What about taking time to further your education and future success with summer classes at South Texas College! Looking for a new career, or visiting home from university? Our courses are both affordable & transferable! Whether your schedule is packed with work, family or other obligations, there are class times available to match your needs! Time flies during the summer months, which is why summer classes can be completed in just a few short weeks! Even if you’re on track to meet your graduation goal, there’s nothing wrong with working ahead. Taking even one summer class could lighten your regular semester workload. If you need to make up some classes to keep with your degree timeline, summer classes are exactly what you need. There’s a good chance that the classes you're missing will be available during the summer! South Texas College’s tuition rates are affordable, with no extra cost for summer classes. To top things off, you could be eligible for the Pell Grant and other financial aid! Learn more at Student Financial Services. Don’t wait - take advantage of summer sessions on the road to your success this summer! Want details for summer dates? View the Academic Calendar.